Walter J. Curran, Jr., MD, executive director of the Winship Cancer Institute of Emory University, has been elected to the board of directors of the American Society of Clinical Oncology (ASCO). ASCO is the world’s leading professional organization representing all specialties of physicians who care for people with cancer. Curran is one of four new members elected to serve a four-year term, which begins in June 2014. Curran, a renowned expert and researcher in the management of patients with locally advanced lung and brain malignancies, is the only radiation oncologist to serve as director of a National Cancer Institute (NCI)-Designated Cancer Center. 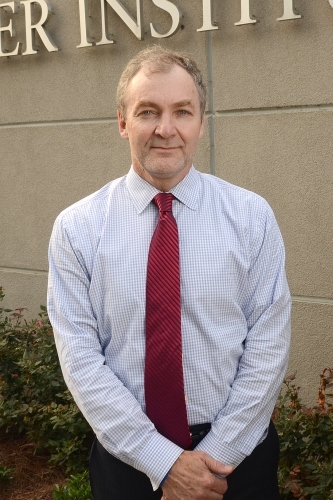 Curran is the Lawrence W. Davis professor and chair of Emory’s Department of Radiation Oncology. Since 1997, he has served as group chair and principal investigator of the Radiation Therapy Oncology Group, an NCI-funded cooperative group. He is one of three founding principal investigators of NRG Oncology, a new NCI-funded research group, and chair of the NRG Oncology Foundation Board. Earlier this year, Curran was named a Georgia Research Alliance Eminent Scholar and Chair in Cancer Research. He is also principal investigator on several NCI research grants. He has led several landmark clinical and translational trials for patients with either lung cancer or brain tumors and is responsible for defining a universally adopted staging system for patients with malignant glioma. He has authored or co-authored more than 300 scholarly papers, as well as numerous presentations, reviews and book chapters. He has been chairman or co-chairman of more than 40 clinical trials and a reviewer for twelve national/international journals. Curran graduated from Dartmouth College and received his MD degree from the Medical College of Georgia.